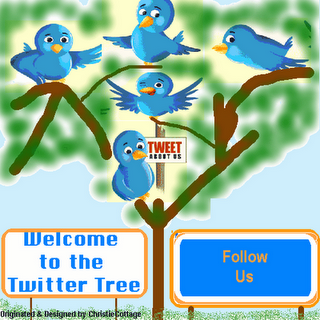 The Twitter Tree© will be hosted by a different shop M-W-F. I will catch later ones this afternoon. to here - B back later. Sorry Ladies. Can't participate today. I have to take Tony to the Dr. Don't like the sound of his cough and he is struggling a bit to breath. Sorry Suzanne, hope nothing serious. Suzanne, I hope he gets to feeling better quickly. Suzanne, hope Tony starts feeling better soon. Hope that cough doesn't get any worse.